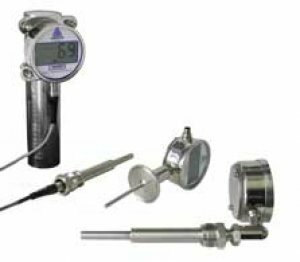 The DTG has been designed as a replacement for mercury-in-glass thermometers on Retort applications. The DTG has been designed as a "best-in-class" digital thermometer for typical Pharmaceutical and Bio-tech applications. Sanitary Clamp Type, is designed for use with any 1/4" diameter probe having a 1/2" NPT threaded connector.